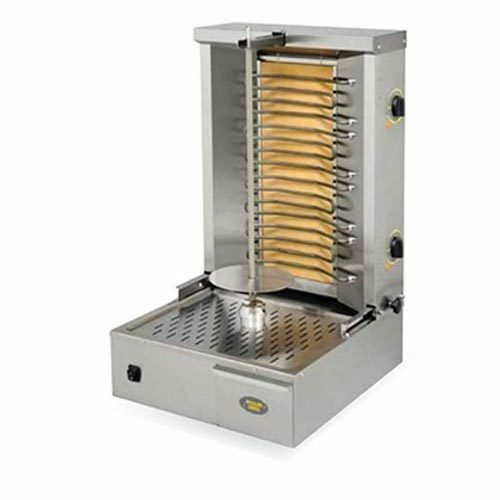 Doner Kebab Machines / Yeeros / Gyros Grill Cookers are a very popular snack, or meal item served all over the world. Using any type gyros meat that could be chicken, lamb or beef. Or a Turkish kebab meat that can go with a salad to makes this a delicious meal to remember. 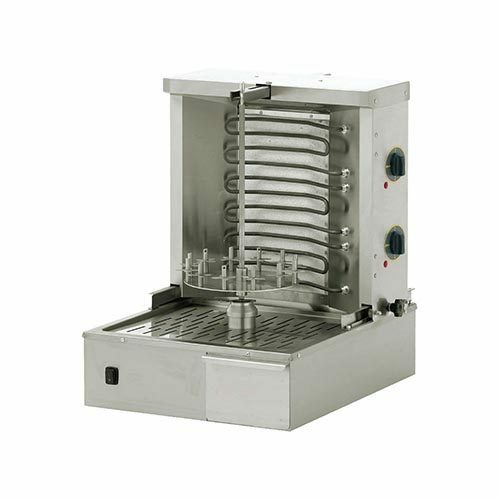 Many of the commercial doner kebab machines available in gas-fired and electric. 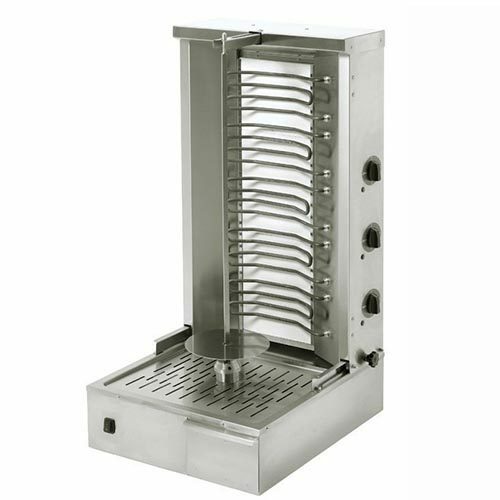 Many standard features included in the machines like side heat deflector wings. Also, adjustable meat tray so you can directly move the meat closer or away from the heat. Yeeros machines are easy to use, built well and so reliable for takeaway shops, restaurants, and fast food chains.